Doncaster Phoenix produced their best performance of the season to beat third-placed Bridgnorth 47-15 at Castle Park. 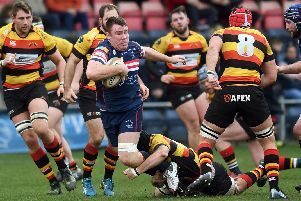 Phoenix’s seven-try victory means they have now picked up 18 out of 25 possible points since the turn of the year as they bid to move away from the bottom of the Midlands Premier Division table. The visitors actually started strongest with a penalty and a converted try within the first ten minutes but that simply rallied Phoenix. Full back Josh Winter opened the Phoenix scoring with a touchdown under the posts and the next try from centre Will Smith soon followed, both converted by Will Burden. The highlight of the first half was a superb solo effort from winger James Wright on 35 minutes when he chipped ahead, outran the defence and collected the ball to score close to the posts to give an easy conversion for Burden and Phoenix a comfortable half time lead. Phoenix sealed a bonus point and effectively put the game out of reach of the visitors just after the restart when some some fine interplay in midfield ended in player coach Adam Kettle going over and Burden converting. Bridgnorth went over for a try on the hour mark but were unable to convert. 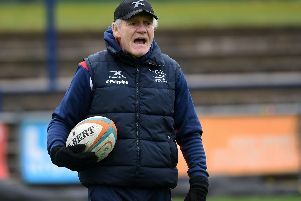 This only again inspired Phoenix who instead of looking to simply defend their lead went on the attack and scored in the corner through replacement fly-half Seth Adams and Smith again, following a scintillating break from scrum half Sam Pocklington. Adams added two conversions. Second row Clayton Hill added the gloss with another score in the closing stages. Wheatley Hills won 21-15 at Ripon in Yorkshire Two, while Thornensians thrashed Halifax Vandals 62-5 to remain firmly in the Yorkshire Three promotion hunt.